In MagicPlot 2.8 you can create nested folders and freely place Tables, Figures and Fit Plots in it for better organisation of your Project. In previous releases of MagicPlot, all Figures were located in Project root which is not useful. In MagicPlot 2.8 you can place Figures in any Folder. You can now reorder items in Project Tree with drag and drop. The 'Move to Folder' context menu item is also available in Project Tree. The project file with nested folders may be opened in previous release, MagicPlot 2.7.2 or earlier, however we don't recommend to do that. Nested folders will be merged in previous versions of application. 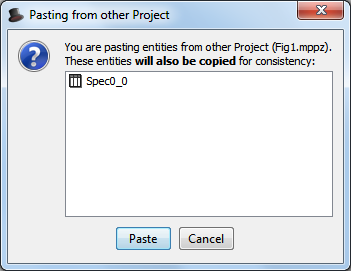 In MagicPlot 2.8 any objects in Project tree can be copied, cut and pasted. Drag and drop is also supported. 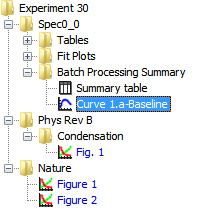 In previous versions the copy and paste functionality was available only on Figures and Fit Plots, moreover only items of one type (curves or drawn objects) were copied at once. MagicPlot 2.8 does not have such restriction. 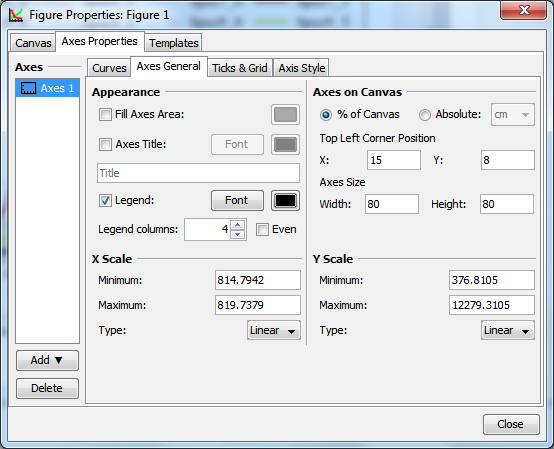 Now you can copy and paste the whole Axes Box with included Curves from one Figure to another. MagicPlot 2.8 automatically saves a copy of opened project to a temporary file every 15 minutes (the interval can be changed in Preferences). The autosaved file may be used for recovery after a failure: electric power problem, operating system failure. If the recovery file exists MagicPlot will show a prompt to load the autosaved version when opening the Project. 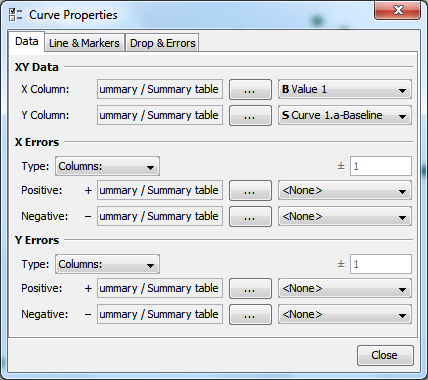 In previous releases only columns may be changed in Curve data tab of Curve Properties dialog. In MagicPlot 2.8 you can select another table. Moreover X, Y and error values may be located in different Tables. 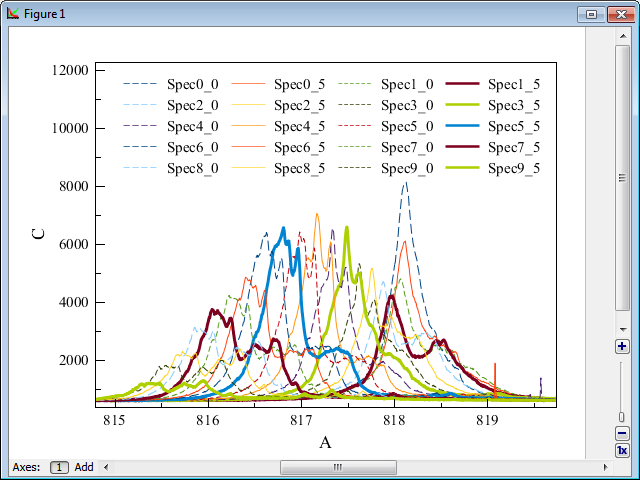 MagicPlot 2.8 is capable to draw multi-column plot legend. The number of columns is set in Figure or Fit Plot Properties dialog, Axes General tab. 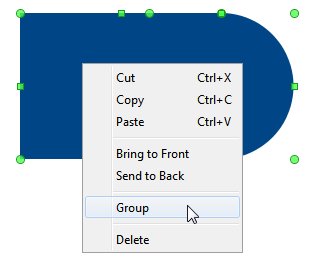 The 'Even' checkbox makes the row widths equal also in case the legend texts have different visual lengths.